Transformer Substation Up to 33KV / 10 MVA. 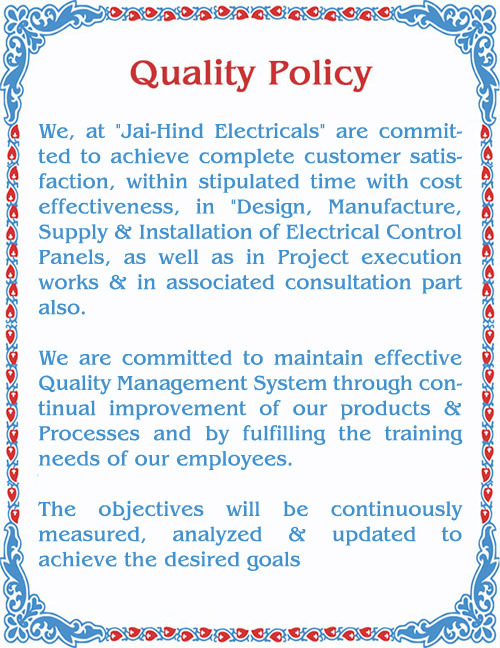 Hello and welcome to JAIHIND ELECTRICALS ! 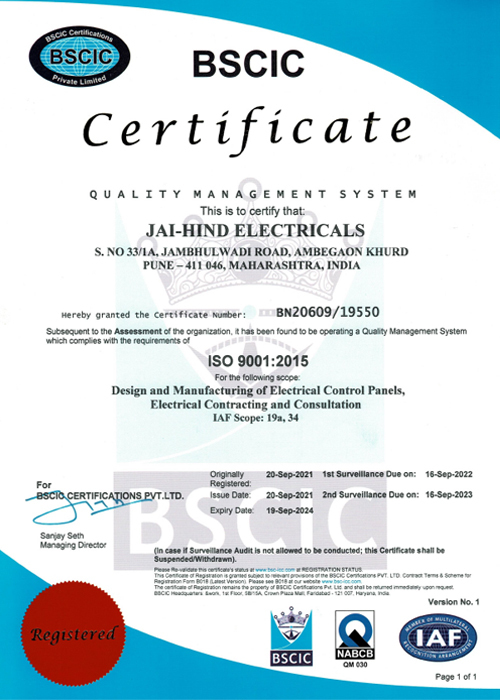 JAIHIND ELECTRICALS Started with a scratch in 1991 & now shortly Celebrating 28th year Anniversary. In last 27 years we have achieved many milestones. Since the inception of our company, we have been backed and supported by a team of skilled professionals. Consultation, turnkey contracting and Manufacturing all types of Control Panels. Multistate, Uptil Now worked in Maharashtra, Karnataka, Uttaranchal, Gujarat, Daman & Vishakhapattanam, Rajasthan, Kolkatta (Singur), Chennai. Versatile existence, served all types of Automobile Companies & their ancillaries, forging Industries, Sugar Industries Distilleries, Chemical Industries, Hospitals, I.T. Parks, Foundries, Paint Shop Industries, Food Industries, Domestic Commodities. • Worked for multinational 100% E.O.U. Companies. • Worked for Indo - Thailand joint venture company. • 11 / 22 / 33 KV, Transformer Substations upto 10000 KVA Capacity. • 11 / 22 / 33 KV, Overhead Line & under Ground Cabling. • AMF / Auto Synchronising / Auto Load Sharing Panel Installation. • Flame Proof Electrical Installation Works. • Complete Electrical & Instrumentation Installation For Hydrogen (H2) Manufacturing Plant. • Complete Internal Electrification For 500 Bed Hospital. S. No. 33 / 1 A, Jambhulwadi Road, Ambegaon Khurd, Pune - 411 046., Maharashtra, India.